Do you remember the Tot Finder stickers? For many years, families put them on the windows of children’s rooms, so, in case of fire, firefighters would know they should search that room. They’ve mostly fallen out of favor. My guest says we’re now counting on victims to do that—to rescue themselves –and it may not be realistic. Shouldn’t they rightfully expect firefighters to rescue them? Do you ever get the feeling that there are some people doing this job who really aren’t into it? They’re around -- but that's all. They’re mostly found in the ranks of the volunteer departments. These are the guys who want to wear the t-shirt and say they’re a firefighter—but don’t actually want to do the work.Now, you may want to just jettison these people. But what if you could motivate them to become actual assets on the fireground? That’s what my guest today would like to do. Jeremy Perrien is the Chief of the Scott County Rural Fire District in Missouri. It’s a volunteer agency, and Jeremy was hired to head it up in 2010. He has 20 years in emergency services. What does it take to be a fire officer? There’s more to it than just giving orders, of course. In fact, being a great officer could be considered a skill … or even an art. My guest today wrote a post for the Firefighter Nation website about the art of being a fire officer. Kirk Galatas is Interim Assistant Chief at the Mukilteo Fire Department in Washington state. He began his career as a firefighter with the US Air Force right out of high school and then worked as a volunteer firefighter. Re-kindles are every firefighter’s nightmare. When I was a reporter, PIOs would go to great lengths to get me not to use that word if a fire re-ignited. Avoiding them seems simple enough—use a lot of water and do thorough overhaul. So how do even proficient fire departments have re-kindles? More importantly, how do we avoid them? My guest today has some answers. Nick Martin’s been a firefighter since 1994. He started as a volunteer in a Philadelphia suburb. Since then he’s been both a career and volunteer firefighter in Pennsylvania, Maryland, South Carolina and Virginia. Nick is currently a Battalion Chief with the Salisbury, North Carolina Fire Department. Vertical ventilation is a pretty controversial subject these days. Ever since the UL report on it came out, firefighters have been arguing whether vertical ventilation is worth the risk and if it even has the effects we want. One thing that makes it risky is that it’s tough to do realistic training for it. Where do you stand? Today’s guest has some insights into the debate. Frank Ricci is a lieutenant with the New Haven, Connecticut Fire Department. He is an FDIC Instructor and lecturer. With two decades on the job, Frank has written magazine articles, chapters for textbooks, and created DVDs on firefighting technique. If you’re trying to join the fire service, raise your hand. Wow, that’s a lot of you. There are some good resources to help you with things like passing the written tests and the interview stage. But one of the keys is mentorship, a/k/a networking. Turns out, who you know really can make a difference in getting in the door. My guest today is here to explain. Dave McGlynn is a 17 year Fire & Emergency Services veteran who has worked in both Municipal and Federal Fire Departments as a Volunteer & Career Firefighter. He is the Chief Training Officer for the US Military Academy at West Point’s Fire Department. Dave also owns owns Passion in Leading. The RIT team has an important role at a fire scene. I say this, not as Captain Obvious, but because it’s easy to forget when you go to multiple scenes without ever taking action. It’s even easier when the IC tells you to throw a ladder because you’re just standing there.How much do you train for RIT operations? How realistic is that training? Today’s guest would like to see you do more, and to practice unusual scenarios. Keith Padgett is fire chief of the Beulah Fire District in Valley Alabama. He retired as the chief-fire marshal for the Fulton County Fire- Rescue Department. A 35-year member of the fire service, Keith currently serves as Fire and Emergency Medical Services academic program director with Columbia Southern University. Village, Colorado, has had a new response policy in place. Air Methods helicopters, which operate from bases in 48 states around the U.S. , has been launching sooner on EMS calls. The goal is to have them standing by in the air instead of on the ground. The new procedure has been a success, so far. Here to explain the policy, and the results, is Joseph Uridil, the Air Methods clinical base supervisor for Native Air in Arizona. Today’s fire departments ask more of their members than they used to.You’re now required to be at least an EMT in most departments, and there are advantages to being a paramedic, too. Today’s show is about being a good paramedic. It’s not just about emergency medicine. My guests today are a brothers who wrote a book about what it takes to fit into a world with no grey area. The book is “Life and Death Matters: Professionalism and Decision-Making for the First Responder.” The authors are Samuel and Christian Adams. They’re firefighter/paramedics in Colorado Springs. Together, they have over 20 years experience in firefighting and emergency medicine. With active shooter situations on the rise, there’s been more concern about how schools should deal with them. Communities around the country have started thinking pro-actively about how they can prevent shootings. And how they’ll respond if one happens in their schools. My guest today is part of that planning process and has some insights on what might be considered. Alan Berkowsky has been the Fire Chief in Winnetka, Illinois since 2011. A 35-year veteran of the fire service, he started his career as a paramedic with the Chicago Fire Department. He went on to join the Evanston Fire Department in 1981 as a firefighter/paramedic and became chief of the department in 2004. He’s been an instructor for the Illinois Tactical Officers Association in the Rescue Task Force Curriculum. Just about everyone wants to be promoted. More pay, maybe a different shift, and more authority to make things happen. So what do you do when you actually get that promotion? You might want to think about it in advance. And today’s guest is here to give you some things to think about. Rom Duckworth has more than twenty five years of experience working in career and volunteer fire departments, emergency services and hospital-based healthcare systems. He’s currently a career Fire Captain / Paramedic and EMS Coordinator. Rom is a speaker at national conferences and contributors to magazines, and textbooks on topics of field operations, leadership, and education in emergency services. Has your department given any thought to operating its own ambulances? It’s happening around the country, for various reasons. There are some considerations to be checked out before a decision is made, and we have a couple of guests to explain them today. First up is Joe Maruca. He’s the Chief of the West Barnstable Fire Department, a combination fire department on Cape Cod in Massachusetts. He’s on the NVFC Board. And Joe is also a retired attorney. Next, we’ll hear from attorney Steve Wirth. He’s been a firefighter, EMT, paramedic, flight paramedic, EMS instructor, fire officer, and EMS executive. He was one of central Pennsylvania’s first paramedics. 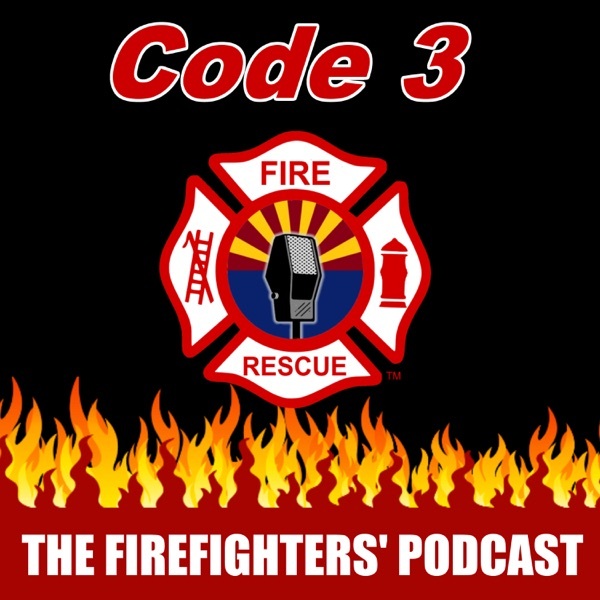 Our topic on this episode is stretching a dry line. Way back in Firefighting 101, they taught where to do it and where not to. Problem is, my guest today says, once you gain some experience, sometimes that training goes unheeded. And that can lead to firefighters in a world of trouble. Here to give us a refresher on where to stretch dry is Anthony Avillo. He retired a Deputy Chief with North Hudson, New Jersey, Regional Fire & Rescue with 34 years in the fire service. With three decades in the fire service, he’s an instructor at the Monmouth County, New Jersey, Fire Academy. And an FDIC instructor and a member of the FDIC advisory board. The Bernalillo County Fire Department in New Mexico is trying a new idea to cut down on job-related cancer.The department is adding apparatus, over time, that has compartments to store turnout gear. Firefighters won’t generally wear their turnouts in the rig on the way to or from a fire. It’s called the “Clean cab” policy, and spokesman Lt. David Lujan says it was a group decision. There's been some skepticism from firefighters on social media. Joining me to explain his concerns is Keith Collins. Keith has more than 14 years in the fire service, including military service, and is currently working as a firefighter in Fort Huachuca, Arizona. It may surprise you to learn that PTSD is not the major factor in most firefighter suicides. That’s just one of the myths that surround—and drives discussion on – the topic of firefighters taking their own lives. One of the strongest advocates in the fire service fighting to dispel those myths actually nearly killed herself four years ago. Now she’s spreading the truth about firefighter suicide. Dena Ali’s been a guest on this show before. She’s a 10-yeer veteran of the Raleigh, North Carolina Fire Department, where she’s a captain. Firefighters love handy phrases almost as much as they love acronyms. Wait, scratch that. Firefighters’ bosses love handy phrases almost as much as acronyms. The guy in the turnouts may not be so fond of those old maxims. They get repeated and then improved upon, until they don’t mean the same thing any more. But the phrases are still treated as gospel truth. Here today to discuss that problem is Clay Magee. Clay is a Firefighter/Paramedic with Birmingham Alabama Fire and Rescue as well as Chelsea Fire and Rescue. A 13-year veteran firefighter, he’s an instructor with Magic City Truck Academy. Today, we’re going to talk about a role in the fire department that’s near to my heart: The PIO. The Public Information Officer was the key to my getting information about the department, its people, and the incidents it covered when I was a newsman. But I had to build a relationship with each one before they would trust me. The best PIOs are the ones who recognize that good journalists aren’t out to get them – we just want the best pictures and sound. And solid PIOs are proactive, too, promoting the good that fire departments do on a routine basis. Back again to discuss this are P.J. Norwood, a Deputy Chief Training Officer for the East Haven Connecticut Fire Department, and Sean Gray, a 21-year veteran of the fire service and a lieutenant in the Cobb County Georgia Fire Department. Have you ever been off-duty driving somewhere and come upon a crash scene? What should you do? What gear do you have in your POV? Most importantly, are you prepared to be a help and not a hindrance? My guest today has some thoughts on that. Michael Fraley is coordinator of the North Central, Wisconsin, Regional Trauma Advisory Council. Mike has worked as a flight paramedic, EMS service manager and an assisted living facility owner/ administrator.